As a financial literacy advocate, I want my son to experience investing at a young age. This is something my generation failed to do, mainly because our parents don’t know anything about investment. In fact, I only learn investing at the age of 31. I know it’s quite late compare to other people, but better late than not invest at all. Investing and retirement planning is something that I take seriously. In fact, I’m still on track with my target of retiring at age 40. By then, I’m imagining myself having my own farm and perhaps an active advocate of financial literacy in the Philippines. 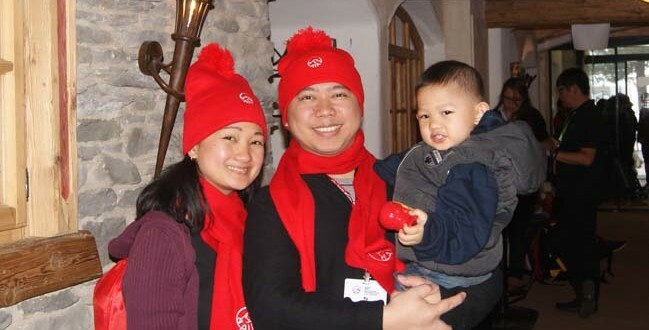 Before my son Francis was born, we already opened an EQUITY pooled fund account for him in one of the top mutual fund company in the Philippines. 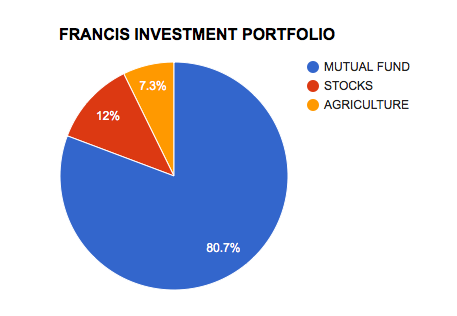 This is where most of his portfolio are invested. We choose equity because this fund is for his education use, probably 18 years from the day we opened the account. It’s not yet an ITF account because he wasn’t born yet, it’s under my wife’s name. Base on a 15% annual growth, we expect it to be more than enough to cover his college fund. The only mistake we did that time was we invested all the money in one time, without doing peso cost averaging. It’s a newbie mistake that I am reminding others not to do. Now that he is 2 years old, we tried to diversify his portfolio. At his 2nd birthday, we opened an ITF account for him in COL with my wife as primary account holder. Since he is too young to know stocks, we just choose a company that he knows at his age: JOLLIBEE. He don’t know any fastfood restaurant except Jolibbee. Everytime we go to a branch here in Singapore, you can see the smile in his face wanting to go near the mascot at the entrance. And his favorite, chicken joy of course 🙂 This idea was shared to us by the FAUSTO family (Mr Marvin Fausto, Ms Rose Fausto and their kids). We are an avid fan of their family; reading their books and online articles. They also bought stocks for their kids, depending on their interests. I want him to have an interest in farming also. That’s what I want to do when I retire. To prepare him early, we invested some of his funds to agriculture: chickens and tomatoes. It’s like a “paiwi” or “patanim” system. We just give the fund, the farmer/company will take care of everything. We just need to sit back, relax and wait till harvest where we will get a percentage of the earnings. Aside from the money coming from my pocket, he also get money during birthday’s and special occassions like Christmas. Instead of buying things, we’re adding it all on his investments. I believe that as parents, it is our duty to provide basic needs for our children: clothes, toys, etc. So every time he get’s extra money from friends or relatives, we know where to put. At his current age, I know investing will not make any sense for him at all. But in future, I know this will change the course of his life. I do hope his generation is as financially literate as I want them to be. Next: What Insurance is Best for Kids? Hi, how did you start investing in patanim system? What company did you join?